Great progress was made on the yurt this Memorial Day! I took out all three HUGE bags of Dorset from the barn, set up a ramshackle skirting table and voila — we got to work. We listened to some good tunes and while my mom and dad tried to stay away and not help me at all they could resist. It was a team effort to get it all done before the rain rolled in! 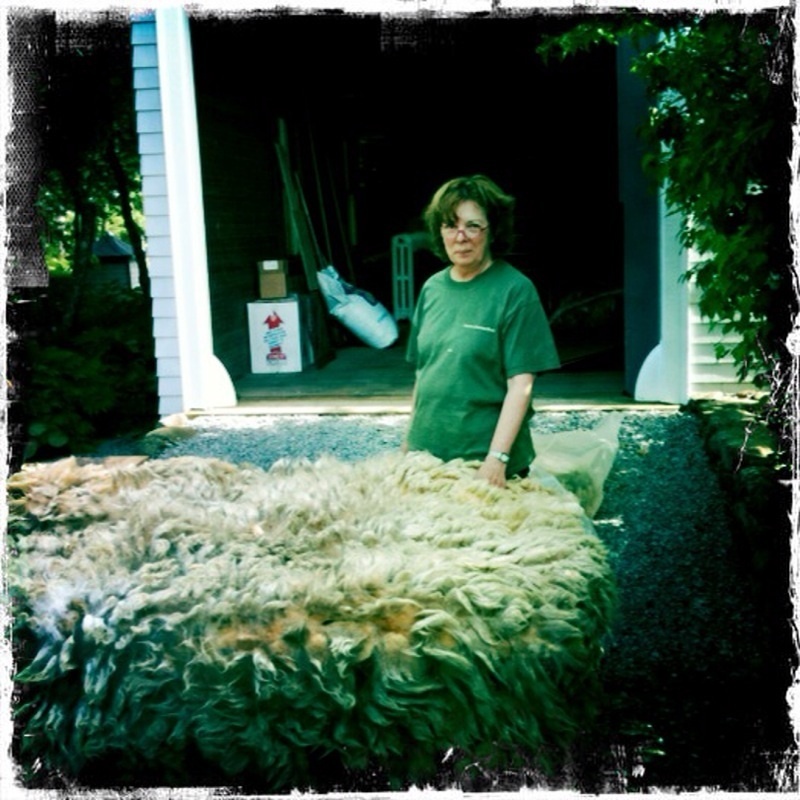 That’s mom — and that’s one HUGE sheared sheep! It was the most wool I’d ever seen all connected together at once, that guy must have been a little fatty. Some of the wool was very clean and some of it was gnarly and had tons of hay in it. I tried my hardest to get the hay out but sometimes it was just too bad. I’m new to skirting so I wasn’t sure how much to remove but I think I got all the really bad stuff. Look at that big pile of cleanish wool! 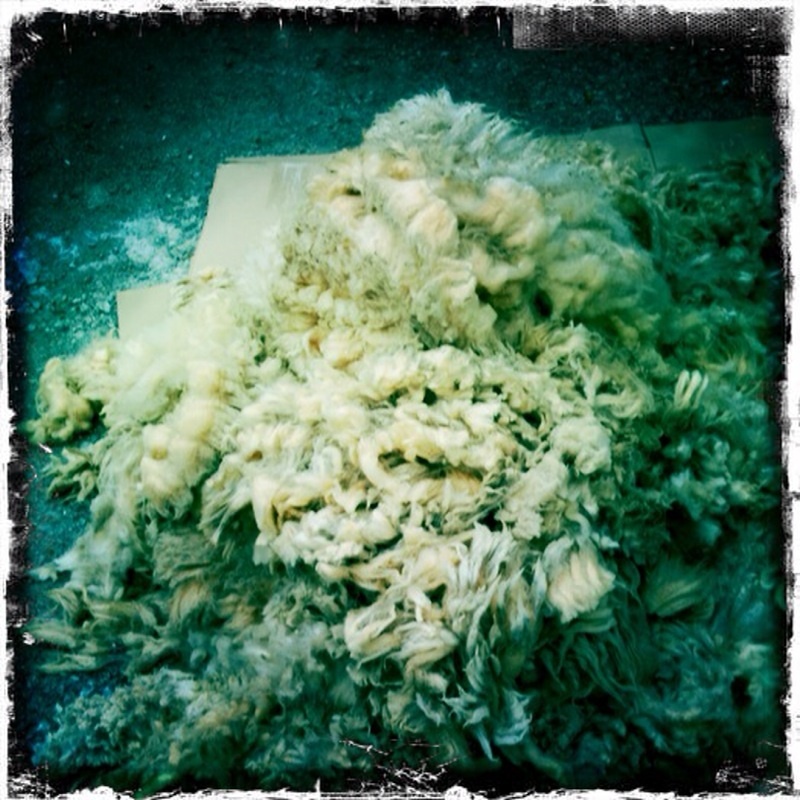 We used the table to skirt, letting detritus fall below and then tossed the clean ones onto a tarp in the driveway. Needless to say, I got a little sunburned. It went quickly but not super fast. Look how happy I am! 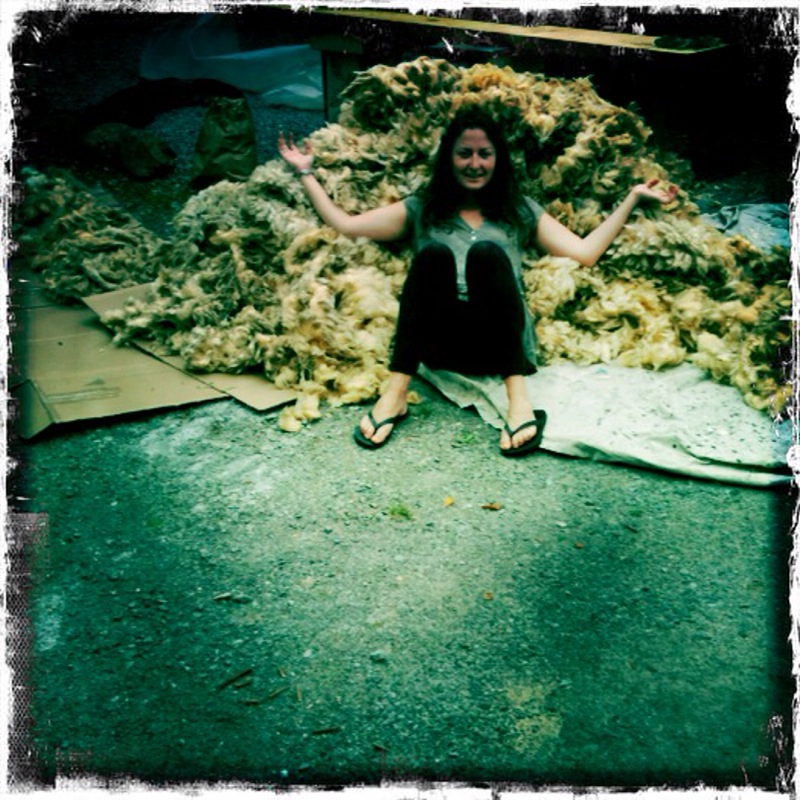 That’s over 150 pounds of Dorset wool that’s going to soon be blended with our Icelandic! More to come, this is just the beginning! This entry was posted on Wednesday, June 9th, 2010 at 2:58 pm and is filed under Process and Wool. You can feed this entry. You can leave a response, or trackback from your own site.